This wasn't a post that I had planned - BUT after showing a bit of one of our FAVORITE activities last weekend and getting an overwhelming response I felt like it was only appropriate to share here on the blog as well. 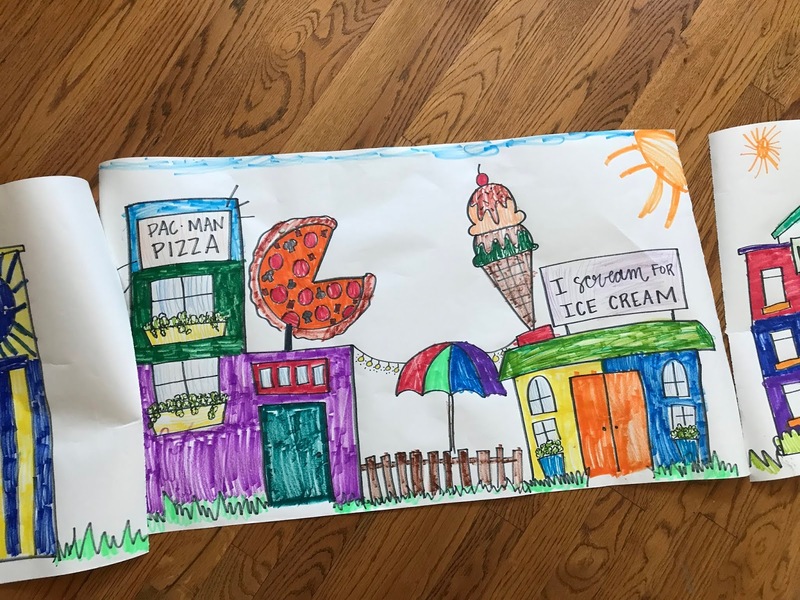 For years and years my kids have been big fans of making "doodle towns". 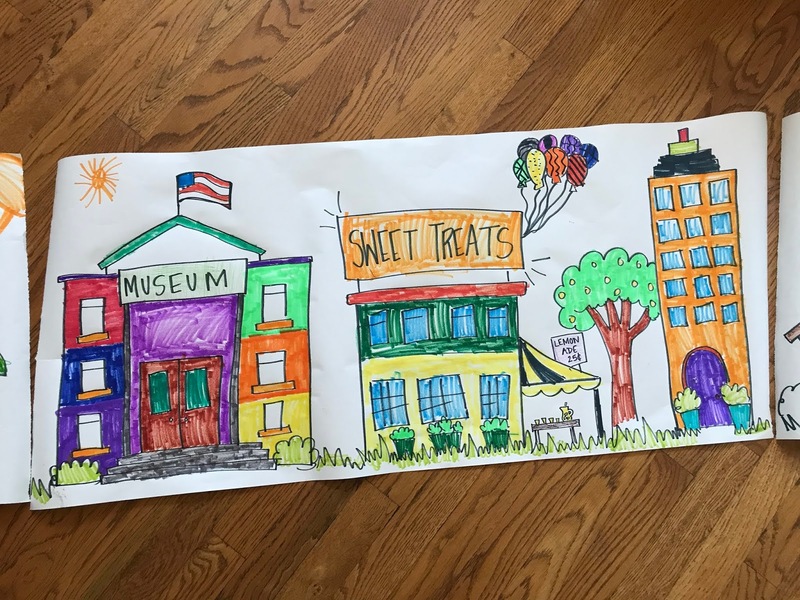 Pretty much - they describe/request buildings and places, I doodle them out on big paper, they color and decorate them and then we make a town. So fun, simple and I love how their little imaginations come to life. Sometimes I pull the images out of my own imagination and sometimes (when they ask for things like a waterpark!) I use clipart, book illustrations, stickers, etc. as a guide. ... and especially love it when they line them all up to make one big town. We draw all of these using the big roll of art paper and the roll holder from IKEA. They're cheaper in the store, but if you're not close to one you can find them on Amazon as well. 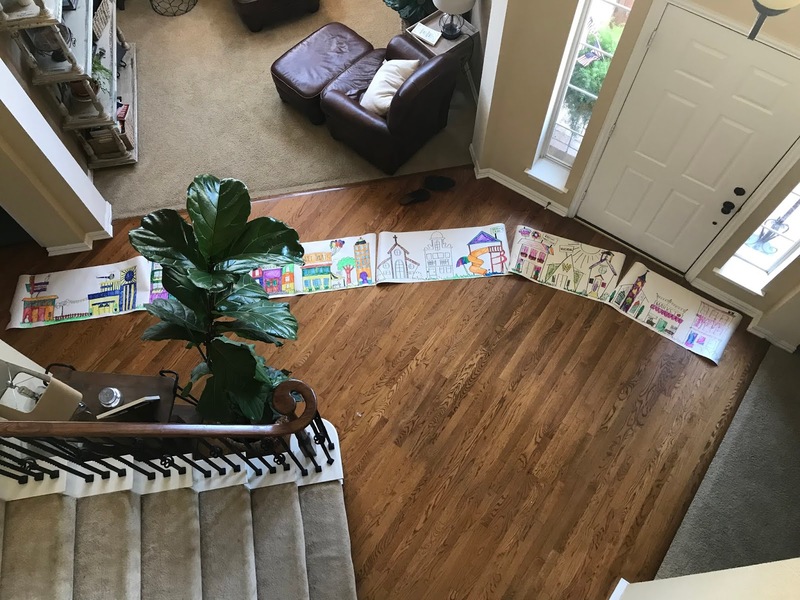 If you're looking for some inspiration or just a quick and easy project I drew 8 different buildings that you can print off as many times as you like (on regular 8.5 x 11" paper), and then your kids can lay them all together and make any kind of town they want. 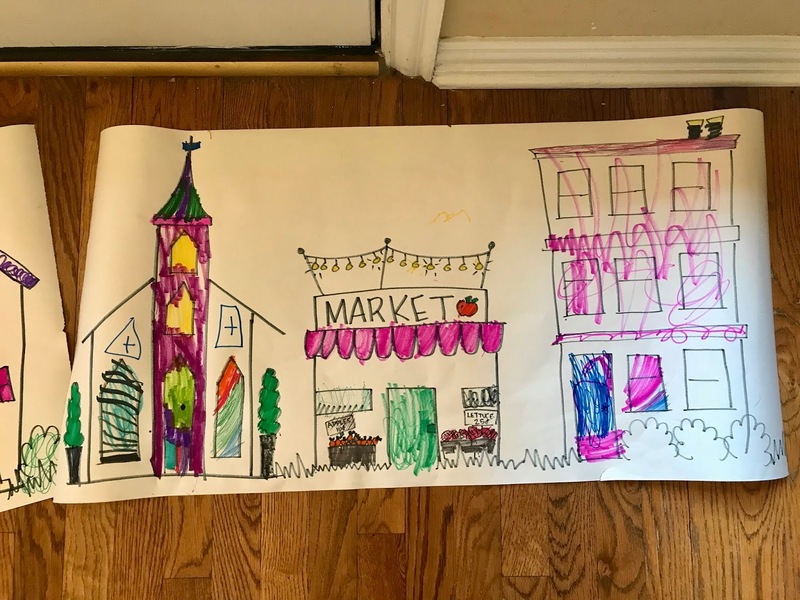 I left some of the signs with purposeful blanks so you (or your kids) can decide what kind of store they want, what they want to name the school, etc. I printed a few copies out for my own kids and I'm thinking watercolors would be fun on them as well. You can click HERE to access the file to download. Happy Wednesday and happy creating, friends! Love these. Thank you, Andrea. I love this! Thank you! My kids will love coloring these. sooo excited! thank you so much!! i saw your post yesterday and was thinking, "I wish i could draw those for my kids", but my skills are quite limited, ha! So thank you! This is SO cool! Thank you so much!!! I love this!! So fun. This is the cutest Andrea - you are so talented! Thanks for sharing these, they are soooo cute!!! You really have a talent! You should market this! You definitely have major doodle skills!I can barely draw a stick figure, so I'm a tad envious. :) If you weren't a math teacher, would you enjoy teaching art? You seem so creative and are very supportive of your kids artistic endeavors! Ahhhh, I love this!! Thank you so much for sharing your talent with us! Ahhh, I love this so much!! Thank you for sharing your talent with us! Thank you for creating and sharing! These are so, so great!! That is so darn nice of you. The first time I saw this on your IG I thought this would be amazing.... if only I could draw. Thank you so much for this! This weekend I finally put together the paper holder with the roll of paper from Ikea for my son. Now I hope to try these doodles out with him. Love your blog and thank you for being so real. You are so sweet to share your giftedness with us! My grandchildren will love these:). I kind of want to color these myself! :) Super cute! Yay! My niece is with us this week and I know she'll love these and will even be able to get my boys to sit down with her and color as well. Thanks, girl!! Another idea for the roll of paper. We went to our printer for our local newspaper & they give out the "end" of the roll. We have used our "end" for a good 5 years now. Got it for the cheer banner for the football players to run through but has since been used for so much more! I love this idea and you have given me a reason to go back to IKEA! Thanks for sharing! I love this SOOOOO much! 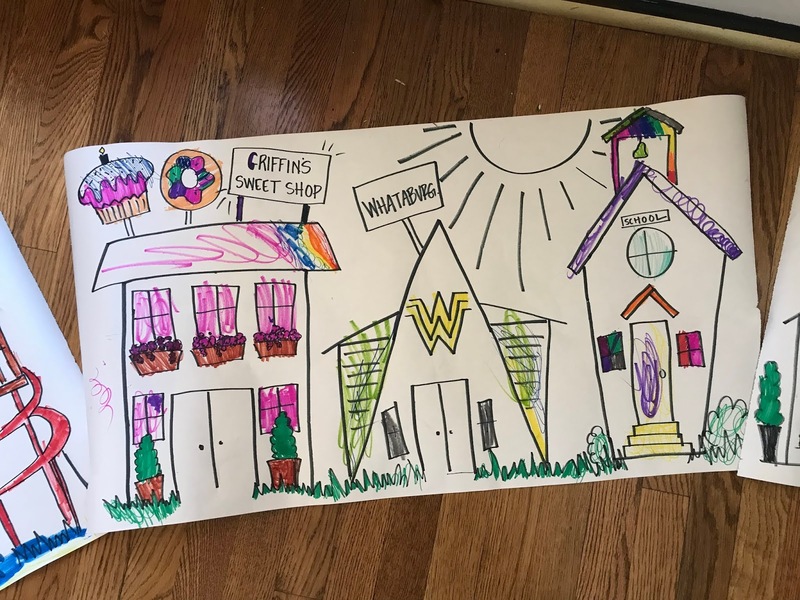 My kids are older but I am now wishing we could go back in time so that they could color these and we could have a "town." How generous you are! Keeping these bookmarked for my youngest grandson. We did something similar with his older brother only we drew a roadway and train track with school, park, hospital, etc. I love this and my kids will too! 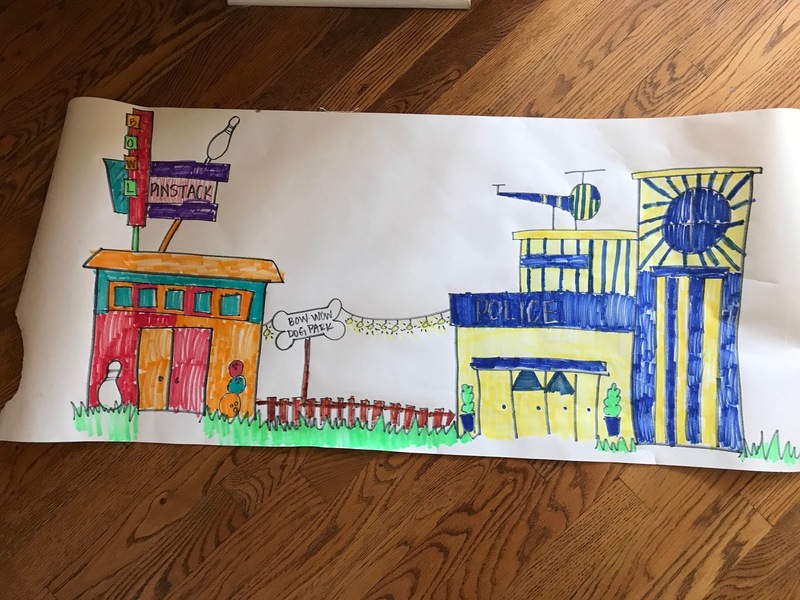 Thank you for sharing your doodle drawings so we can make our own town! Thank you! i do not have an artistic bone in my body and my kids will love this! Thanks so much for sharing these! My kids will love coloring these pages! these are adorable!!! thank you so much for sharing! Awwwww! Yay! Thank you so much!! You are an artist too?! Awesome! Thank you so much for taking the time to make those color pages! I'm bookmarking these for a rainy day. Yay! Just printed them off. Thank you so much for this!! Thank you for this. 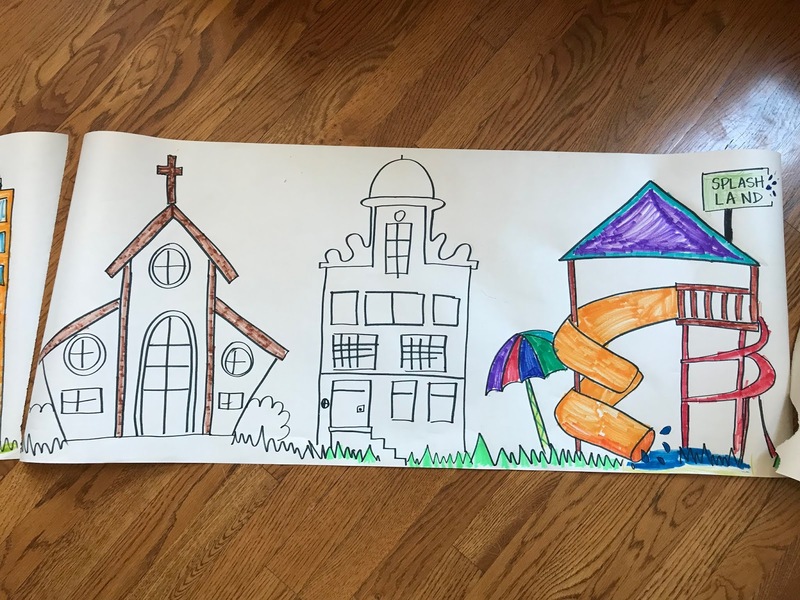 It's perfect coloring for little ones. These are so adorable! You are so creative and very sweet to share your drawings. My kids will love these! Thank you for sharing these. My daughter is super-excited to colour all afternoon (after we get back from swimming and tennis lessons). I will definitely share on Instagram when we are done. Thank you so much. It's simple but with so much detail kids would love this. I hope I can get something this nice to share. I will work on it you have inspired me. Beautiful artwork and again thank you for sharing! Love this! It reminds me of the towns my brother and I used to draw as kids. Mom brought home used computer paper. We would draw roads and buildings and tape it all together to make a city for our matchbox cars.